The other day I was connecting my old Acer Aspire 47152 laptop to my TV set via HDMI. This laptop is using Windows XP. But it could not work. The problem was I was not getting any signal on the TV. 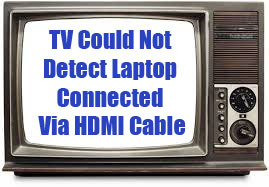 In other words, my TV could not detect the Acer laptop when connected via HDMI cable. I pressed and held down the key Fn together with f5 in the hotkey combination. There was no image or picture on my TV set, except the blue screen. Finally I managed to get the computer Desktop screen on the TV screen. 1. I right clicked anywhere on the desktop screen of my Acer Aspire laptop. 2. A small menu box popped up. 3. I moved my cursor over the remark, "Graphic Options" and then moved it to "Output To". 4. Then I moved the cursor over to "Monitor" and clicked on it. 5. Instantly my laptop Desktop screen went blank and it appeared on the TV screen. 6. To revert back the Desktop screen image back to the laptop, I closed Firefox. 7. Then I right clicked on the Desktop screen. 8. Again just as before, a small menu box popped up. 9. I moved the cursor over "Graphic Options" and then to "Output To". 10. This time I clicked on "Notebook". 11. Instantly the Desktop image from the TV went blank and it appeared onto the laptop screen. It worked perfectly. Now I can enjoy endless full movies from YouTube on my TV.